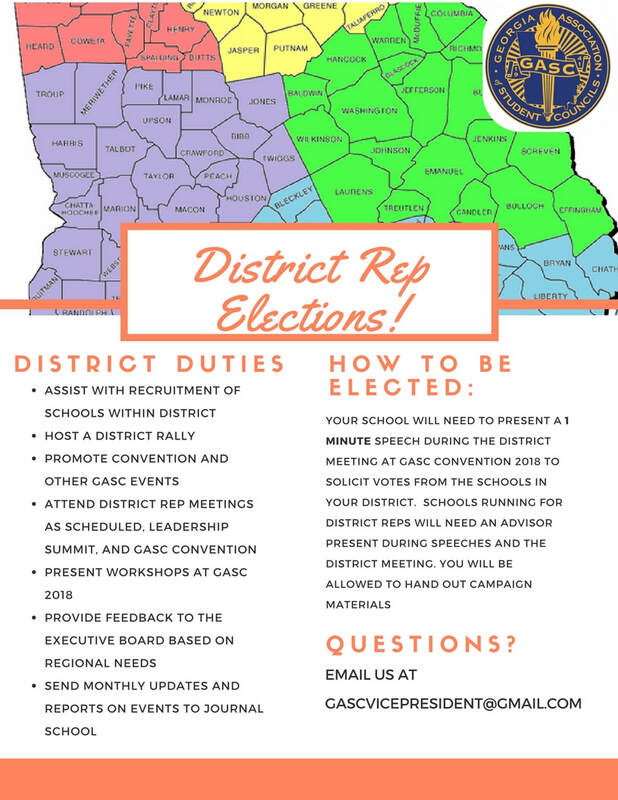 More information regarding guidelines for running for GASC Executive Board can be found in our constitution. This can be found under the resources tab. 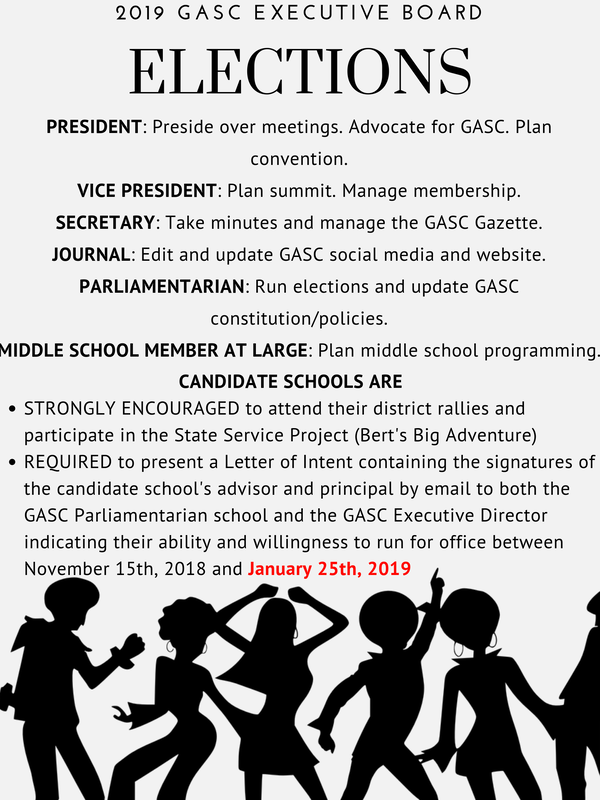 Here are the guidelines for running for GASC District Representatives for the 2019-2020 school year.